J0815+4729 is a star with both an extreme iron deficiency and a carbon surplus, which suggests it’s one of the oldest stars ever found in the Milky Way. Astronomers recently discovered one of the first stars formed in the Milky Way, J0815+4729, shown here in this artist concept. This low-mass star is one of the most iron-poor and carbon-rich stars found to date, suggesting it formed shortly after the Big Bang. Gabriel Pérez/SMM/IAC. In a new study published in The Astrophysical Journal Letters, a team of Spanish astronomers announced the discovery of one of the first stars to form in the Milky Way. The unevolved star, called J0815+4729, is located 7,500 light-years away in the halo of the Milky Way and likely formed just 300 million years after the Big Bang, some 13.5 billion years ago. “We know of only a few stars (which can be counted on the fingers of a hand) of this type in the halo [of the Milky Way], where the oldest and most metal-poor stars in our galaxy are found,” said David Aguado, a research student at the IAC and lead author of the study, in a press release. The ancient star, which is only 70 percent the mass of the Sun, was initially identified from a dataset generated by the Sloan Digital Sky Survey (SDSS) — a massive survey project that has gathered deep multi-color images for about one third of sky, as well as spectra for more than three million astronomical objects. The researchers specifically selected J0815+4729 for follow-up based on its apparent lack of metals — a term which astronomers apply to any elements larger than hydrogen and helium. The research team analyzed the light from J0815+4729 using the ISIS spectrograph on the William Herschel Telescope and the OSIRIS spectrograph on the Gran Telescopio Canarias. Based on their spectroscopic follow-up, the team determined J0815+4729 has roughly a million times less calcium and iron than the Sun. 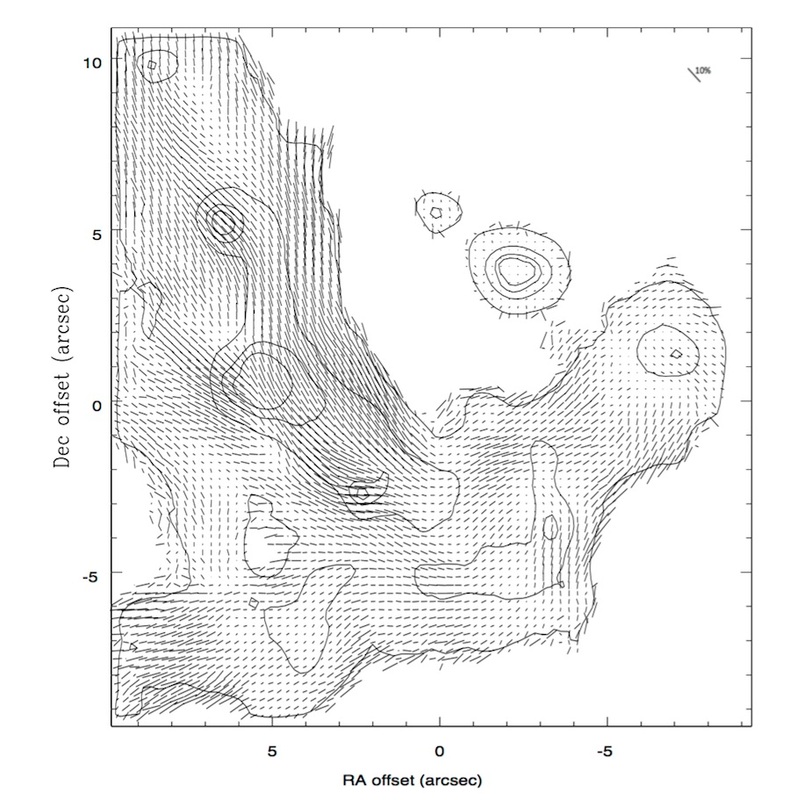 This is important because only the earliest generations of stars have such low metallicities. Older stars, on the other hand, are formed out of the accumulated material from previous generations of stars, which produce lots of metals during their final death throes. Although J0815+4729 is extremely deficient in calcium and iron, the researchers’ were surprised to find that the star has a comparatively large abundance of carbon, nearly 15 percent more than the Sun. Though it may seem counter-intuitive, previous research suggests that low-mass, extremely metal-poor stars likely develop an overabundance of carbon by accreting it from the first generation of low-metallicity supernovae, which lived very short lives. Because J0815+4729 is so metal-poor while also being so carbon-rich, the researcher are confident the star formed long, long ago, when the Milky Way was just establishing itself some 13.5 billion years ago. 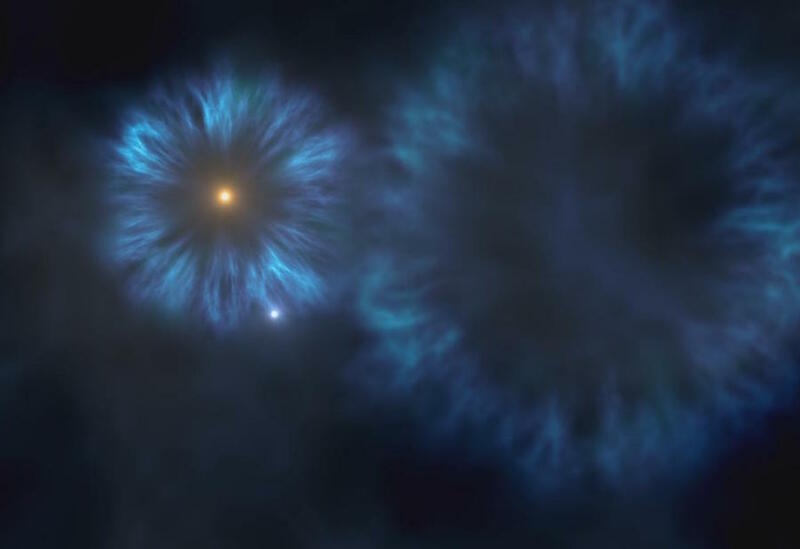 “Theory predicts that these stars could form just after — and using material from — the first supernovae, whose progenitors were the first massive stars in the Galaxy, around 300 million years after the Big Bang,” said Jonay González Hernández, a researcher at IAC and co-author of the study. This image is interesting for two things. First, teaches us that effectively galaxies may, throughout its existence, go through phases of intense interaction with other galaxies, interaction that produces an alteration of the delicate balance of forces that keeps the stars in their orbits. In many cases the galaxies are deformed and part of its stars look released abroad producing long tails and bows. At this stage of interacting galaxies also tend to experience a period of intense star formation and, more rarely, maybe her central black hole is activated by turning her into a quasar. The other interesting thing that tells us this picture of Stephan’s quintet is that things are not always what they seem. You will note the biggest galaxy has a color a lot more blue than the other four, clearly more yellow. This is because this galaxy is only 40 million light-years away, much closer to us than the other, located some 250 million light-years away. Just by pure chance his image projected above the other. The Quintet, strictly speaking, it should be called quartet! Galaxies form groups that may contain a few hundreds of galaxies, of all sizes and shapes. We too, as part of the milky way, we belong to a set of 50 galaxies called a local group. Due to its own gravitational pull, the galaxies of a group are attracted to each other and to avoid collapse and form a single huge object, must constantly be moving within the same group. This continual movement can make galaxies collide between them, as is clear in this image taken with Osiris of a small group called Stephan’s quintet. Galactic Wreckage in Stephan’s Quintet. This portrait of Stephan’s Quintet, also known as Hickson Compact Group 92, was taken by the new Wide Field Camera 3 (WFC3) aboard NASA’s Hubble Space Telescope. Stephan’s Quintet, as the name implies, is a group of five galaxies. The name, however, is a bit of a misnomer. Studies have shown that group member NGC 7320, at upper left, is actually a foreground galaxy about seven times closer to Earth than the rest of the group. The image, taken in visible and near-infrared light, showcases WFC3’s broad wavelength range. The colors trace the ages of the stellar populations, showing that star birth occurred at different epochs, stretching over hundreds of millions of years. The camera’s infrared vision also peers through curtains of dust to see groupings of stars that cannot be seen in visible light. Sharply contrasting with these galaxies is the dwarf galaxy NGC 7320 at upper left. 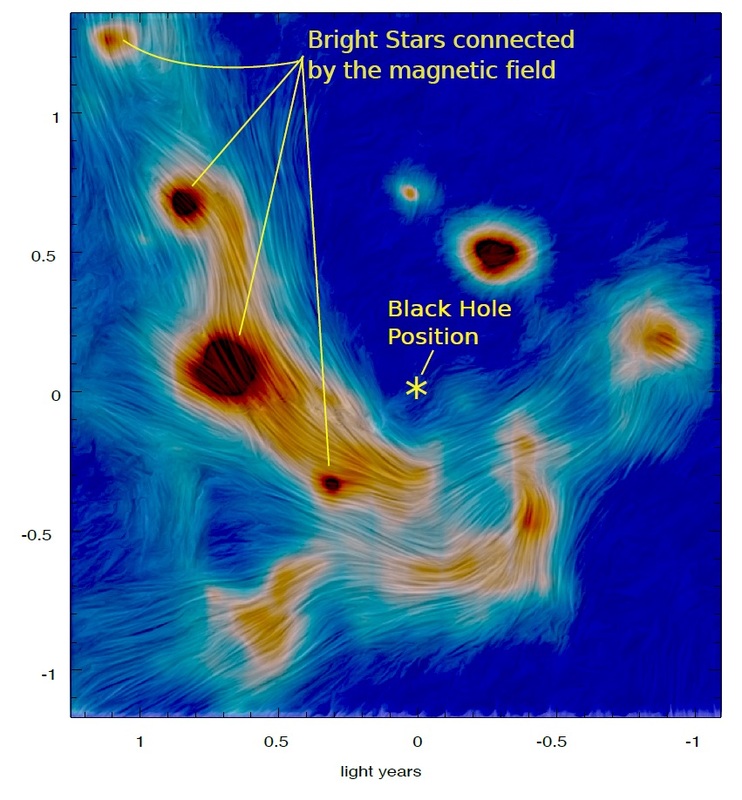 Bursts of star formation are occurring in the galaxy’s disk, as seen by the blue and pink dots. In this galaxy, Hubble can resolve individual stars, evidence that NGC 7320 is closer to Earth. NGC 7320 is 40 million light-years from Earth. The other members of the quintet reside 290 million light-years away in the constellation Pegasus. These farther members are markedly redder than the foreground galaxy, suggesting that older stars reside in their cores. The stars’ light also may be further reddened by dust stirred up in the encounters. WFC3 observed the quintet in July and August 2009. The composite image was made by using filters that isolate light from the blue, green, and infrared portions of the spectrum, as well as emission from ionized hydrogen.